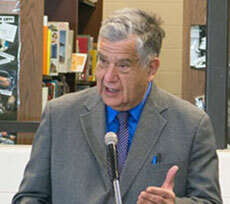 Haverhill Mayor James J. Fiorentini. A split decision by the Haverhill city council establishes a host agreement negotiating committee for a proposed medical marijuana dispensary while denying support for a “non opposition” letter to the Massachusetts Department of Public Health (DPH). Following debate between councilors and Mayor James J. Fiorentini, the council voted against a motion to support the mayor’s plan to send a letter to the DPH which offers “non opposition at this time (is) wholly contingent upon Healthy Pharms seeking and obtaining approval for a special permit by the Haverhill city council.” It also notifies the agency of “no opposition” to Healthy Pharms updating its site registration information to Research Drive in the Broadway industrial park. The letter vote was 5 to 2 against. Councilor Michael S. McGonagle was absent. Council Vice President Robert H. Scatamacchia abstained on the advice of President John A. Michitson after a heated debate with Fiorentini over the letter’s timing and the controversy over a prior letter. Fiorentini: “It was obvious. I should have signed it. You’re right. I decided at the time it was a council matter so I deferred to you as council president. You indicated later you shouldn’t have signed it and I took the rap for that. “Why should a letter of non opposition from a city official be worth points to an applicant? Who would know that other than the insiders? Why should this letter of non opposition from a mayor be required at this point? Because it perpetuates the back door. We are being backed into this,” Michitson said. Petitioners for and against the Healthy Pharms proposal were also present. One opponent, Deborah Maddox, said “respected professionals” have advised against locating a dispensary in Haverhill. “Many people support the concept of medical marijuana but agree that Haverhill is not the right place to locate a dispensary. Many people raise the questions, ‘Why does the city want it here? Is it because of money? And if it is because of money, how much is enough money to deal with the negative impact that the dispensary will have on the community?’ We shouldn’t do the wrong thing for the right price,” Maddox said. Mitchitson is right. This has all been back door from the start. The Mayor got caught and should have had an ethics complaint filed against him.and should have been censured by the City Council. He willingly and covertly falsified a legal document. And he is a lawyer…still ???? This is a tough call. We all are affected by these decisions. I trust you will all do your best in making this decision. It must be made together. I do not care for the “protect your public imagine that is going on at this time. We all will not agree. Work towards the good of all. If the mayor and Jim Jajuga weren’t trying to pull a fast one and trick Scatamacchia into what he was signing, then why did Heathy Pharms drop Jajuga as a lobbyist? Wouldn’t he still have the same value as a lobbyist to HP as prior to the ‘misunderstanding’? And why is it that Jajuga has fallen off the face of the earth? Let’s just say it all was a mistake….wouldn’t Jajuga be out publicly trying to save face and protect his reputation even if he was no longer being compensated by HP? Especially now that he is a ‘certified’ lobbyist obviously looking to leverage his oh so valuable years of cherished public service (sac)??? 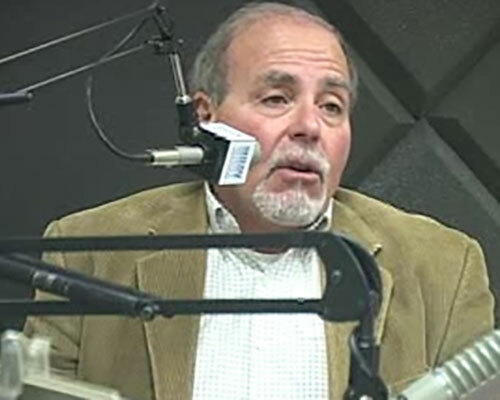 Knowing the history of the mayor and his back door deals, and his secrecy, and his actions to protect and promote his own self interest even when it goes against the best interest of taxpayers of Haverhill…..is there really anyone in the city that pays attention that can say with a straight face he wasn’t trying to pull a fast one on Scatamacchia? Waive The $500K shakedown from The Mayor and let liberty and a would-be free-market prevail.